A solid state? From G1217? YES! Polaris has been on our minds and in our thoughts for a long time now. And it took us equally long before we decided to release the beast into the wild! There are a lot of solid state amplifiers on the market, some better than others and honestly, the market is rather saturated. So what made us decide to build our own? Because no one offered what we wanted out of a solid state design. No, really... no one does so we decided to make this killer amplifier! Must offer variable output impedance (the way many manufacturers make their amplifiers sound a bit different) So 3 settings were included. Must offer variable gain to work with a wide variety of headphone sensitivities. 3 settings were included along with an attenuation module to further customize gain. By default, this gives Polaris 6 settings. From IEM's to planars, Polaris has you covered. Polaris is easy to dial in so that you do not shred your eardrums at 5% volume, or set her up to power the most difficult to drive headphones! We did NOT want another harsh, clinical, razor blade of an amplifier. Frans cooked up a wonderful JFET input stage which lightly mimics pleasent distortions found in tube designs. While not on the major side of these distortions, Polaris still offers a SILKY smooth, non fatiguing sound that leaves a BIG smile without having a glowing bottle on top. All of this pushes Polaris into a different realm of amplification! Polaris must stick with our commitment to quality yet still deliver on all of the goals above - for a price that keeps your wallet from springing a leak. Yes... we did it again! In short, if you are in the market for a solid state amplifier, give Polaris SERIOUS consideration. She hits WAY above her price point without reservation. In a world of featureless, low power tin cans that all sound identical, Polaris stands out like the star she is! Comes with power supply. Plug in your source to the RCA jacks, plug in your headphones and fire her up! 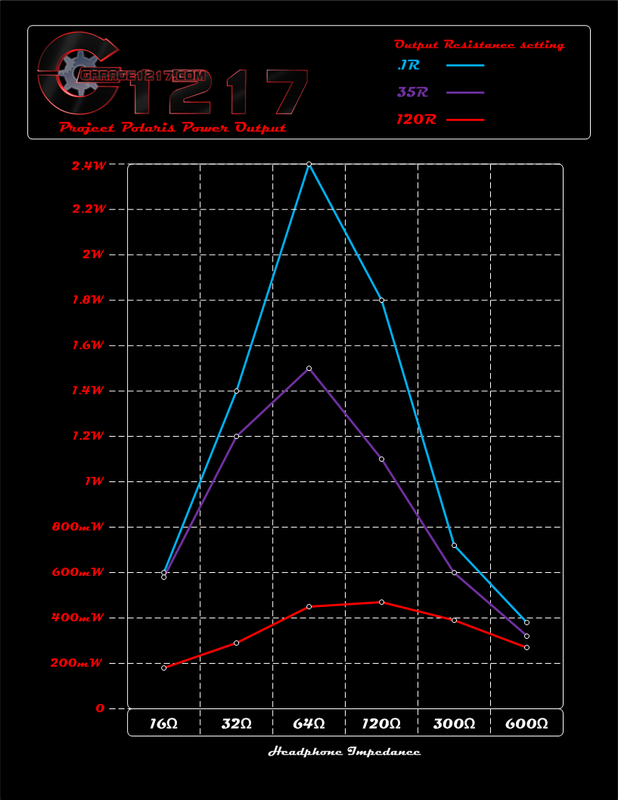 Gain: 12.5X / 7.5X / 4.5X without Attenuation Module. With Module, reduce by ½.